The Academics section of the Student Record lists the student’s classes, current grades, percentages, trending information, and the number of zeros they have received per class. It also provides access to the current published progress report in each class. The Current Assignments list is directly under the list of classes. Current Assignments are all assignments assigned and/or due in the week that is displayed. 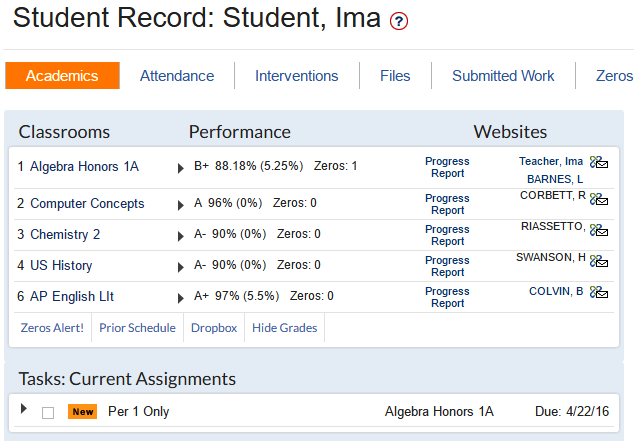 Grades can be displayed using the Show Grades link or if displayed, hidden using the Hide Grades link. Click on the black triangle or anywhere on the grade under 'Performance' to reveal grade highlights for that class, including scores for the last five assignments, a list of zeros and a grade trend graph. NOTE: The grade trend graph displays data from the first published grade to the most recent. 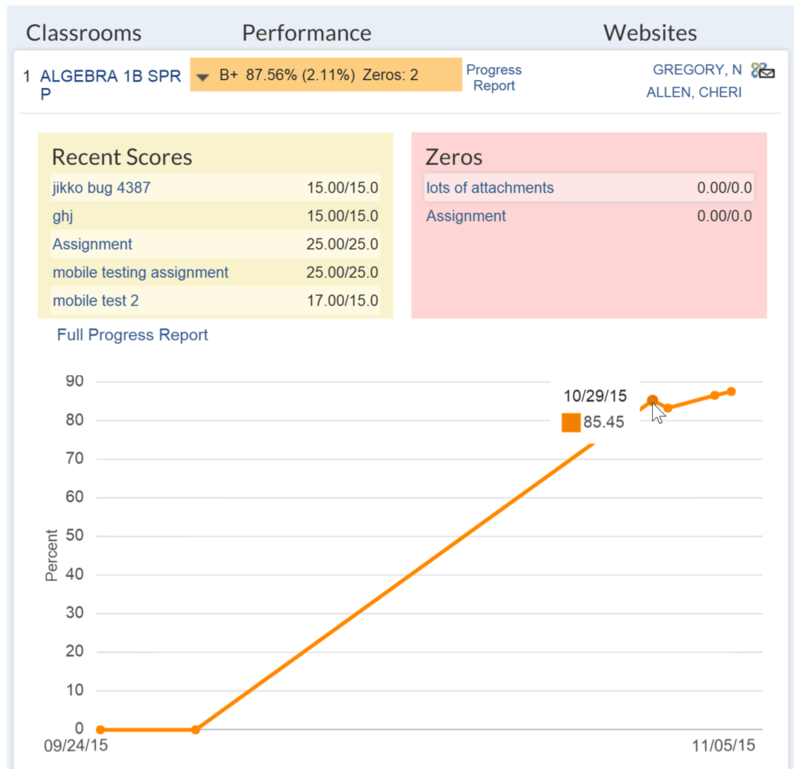 Hover over any data point to see the published date for the grade and the percentage received for an assignment. Click Full Progress Report to see a detailed view of all published grades for the class. Clicking the 'Full Progress Report' displays the graph presenting the performance of the students.